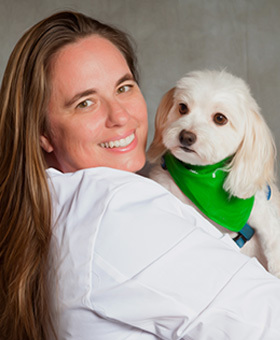 Dr. Jodi McKenna is a Southern California native, growing up near the beaches of Orange County. She completed her undergraduate degree in biology at the University of Chicago and received her degree as a doctor of veterinary medicine from the University of California, Davis in 2005. 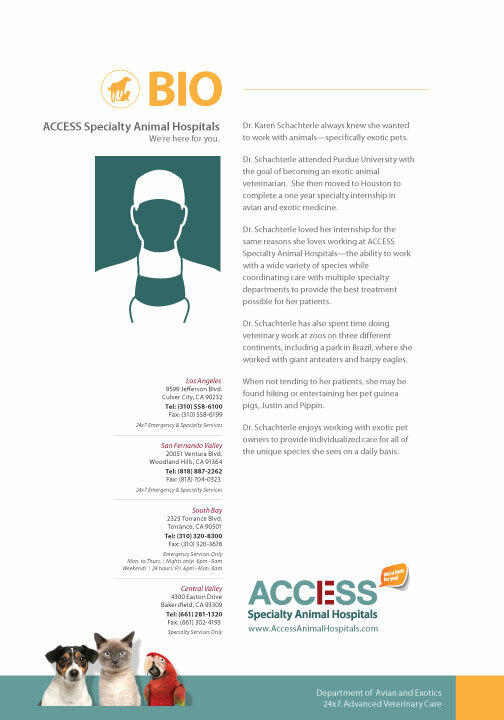 After completing her rotating internship in a private practice in Los Angeles, Jodi joined ACCESS Specialty Animal Hospital, Los Angeles, as a staff emergency doctor. She remained in Los Angeles for two years before relocating back to Davis. 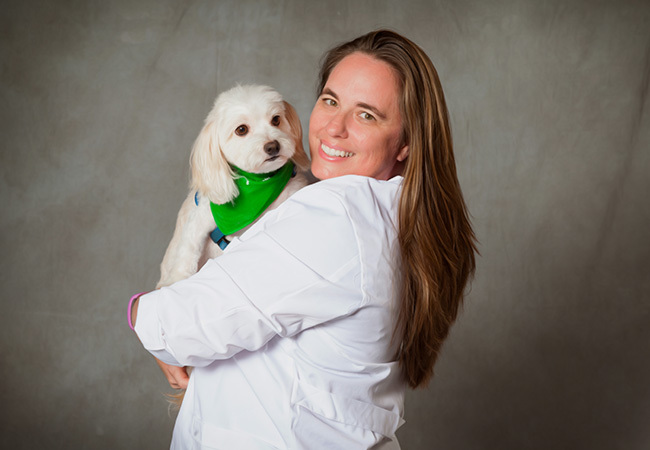 Jodi continued to work in emergency medicine throughout the Bay Area for a period of three years while her significant other and veterinary school classmate, Dr. James Kim, completed his three-year-residency in surgery. 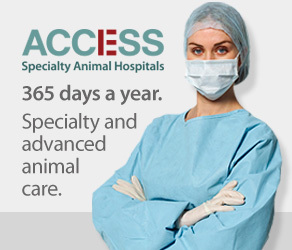 Jodi then returned to ACCESS Los Angeles in 2011 to start her residency training in emergency and critical care. She received board certification as a specialist in emergency and critical care in 2015 and has now found her place again with ACCESS in the South Bay. Dr. McKenna enjoys reading, baking, movies, gardening, and trips to Disneyland with family and friends. She has been participating in fun-run Disney races for the last four years and while she is admittedly not fast by any measure, she is consistent! 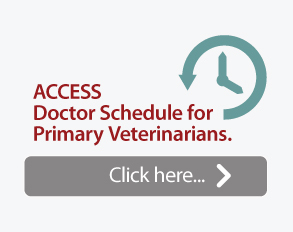 Dr. McKenna and Dr. Kim have shared their lives and careers now for over a decade – along with two sweet little kitties, Birdie and Fiona. Click on image to download Dr. McKenna’s Bio.